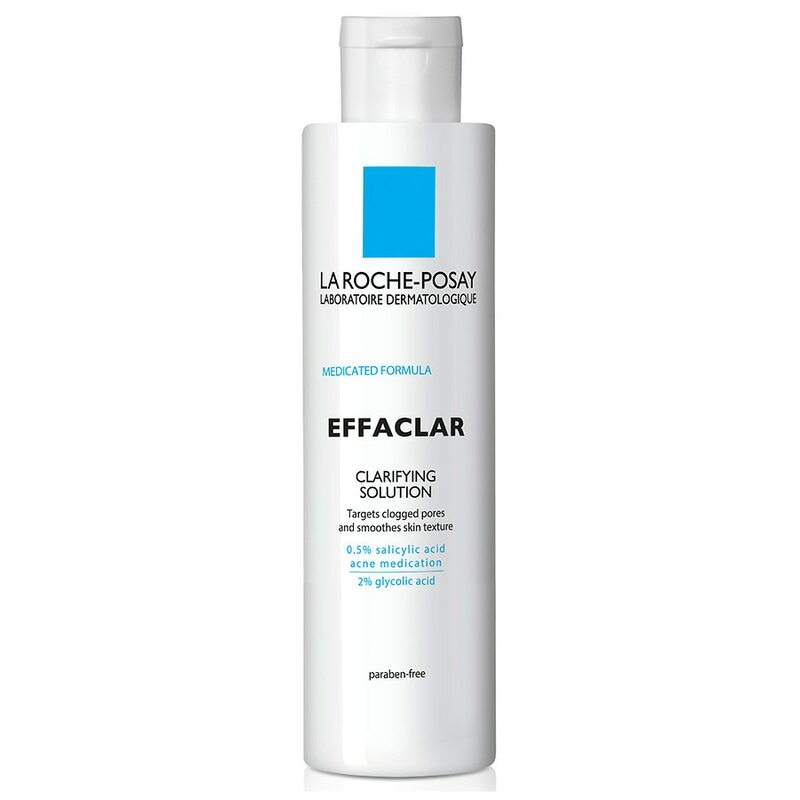 La Roche-Posay Effaclar Clarifying Solution with Salicylic Acid Acne Toner and Glycolic Acid gently exfoliates and removes excess dirt and dead skin cells to leave skin feeling refreshed and even. Acne face toner contains Glycolic Acid - penetrates deep to unclog pores and smooth skin texture, and [0.5%] Salicylic Acid Acne Medication - helps clear blackheads, whiteheads and acne blemishes. Use as an acne face toner daily for continuous results. Tone up to two times daily, morning and/or evening. Use a soft cotton ball or pad. Make sure to avoid eye area. No rinsing. For external use only. When using this product, skin irritation and dryness is more likely to occur if you use another topical acne medication at the same time. If irritation occurs, only use on topical acne medication at a time. Keep out of reach of children. If swallowed, get medical help or contact a Poison Control Center right away. Water, alcohol denat, propanediol, glycolic acid, sodium hydroxide, capryloyl glycine, phenoxyethanol, benzyl alcohol, PPG-26-buteth-26, PEG-40 hydrogenated castor oil, menthol, tremella fuciformis, polysaccharide, butylene glycol, ophiopogon japonicu root extract, scutellaria baicalensis root extract.